The Elisenberg vineyard was planted by Richter ancestor Franz Ludwig Niessen following the Napoleonic Wars in 1815 and was named after the late but still-popular Queen Louisa of Prussia. The vineyard land was given to the Richter family as recompense (and as a thank-you) after Niessen saved the region from being sacked by Napoleon’s army.The town of Veldenz is located at the southernend of the prehistoric Mosel riverbed, south of Mülheim. 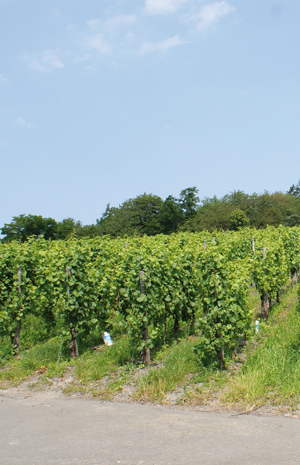 The vineyard faces south and enjoys a cooler microclimate than vineyards located closer to the Mosel River. The greyslate terroir has rich layers of quartz that create a special style of wine. 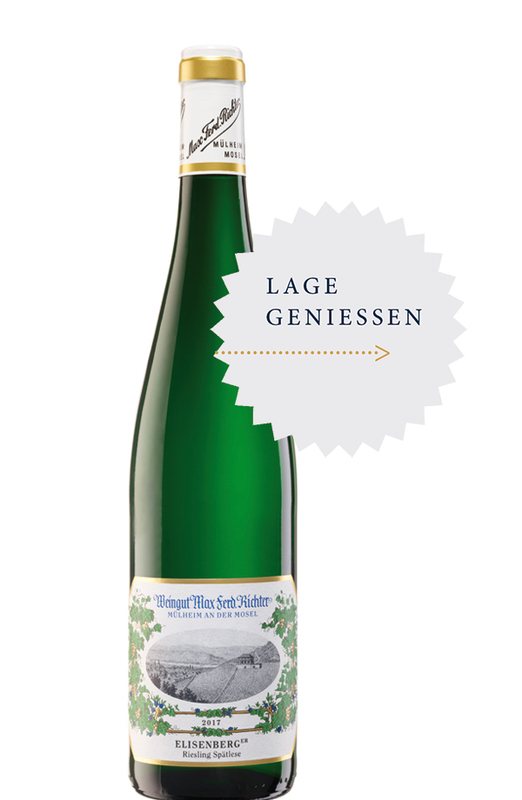 The Elisenberg Rieslings feature a very long growing seasonand are dominated by flavors of wild berries: red and black currant, blackberry and raspberry. A complex acid structure adds tothe long-lived, refined and delicate character of these wines. Elisenberg wines have long been highly regarded worldwide; by the end of the 19th century the vineyard shared equal esteem as Brauneberg, Piesport, Wehlen and Scharzhofberg. Wines from the Elisenberg have been served at royal tables in Berlin and London.